Please Note, that not every offer is for Nov. 11. 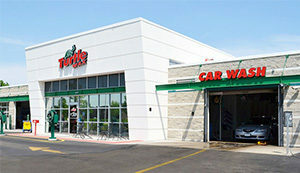 In addition, Turtle Wax (Chicago area) has been giving free car washes (and a lapel pin) to vets on Veterans Day, so they will probably to so again this year. Their car washes are definitely second to none. This is a national listing, so many of the offers are for places that are not in your area. For those near a Turtle Wax Car Wash, in the past, they have offered free car washes on Veterans Day, so they will probably do it again this year, but call just to verify. Their car washes are the best. Updated for 2017: Veterans Day Deals including free food, meals and other freebies. Military discounts and savings for active duty, retirees, and veterans. Please Note, that not every offer is for Nov. 11. 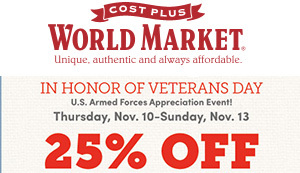 The free meal offer for McCormick & Schmick’s is always for the Sunday before Veterans Day. 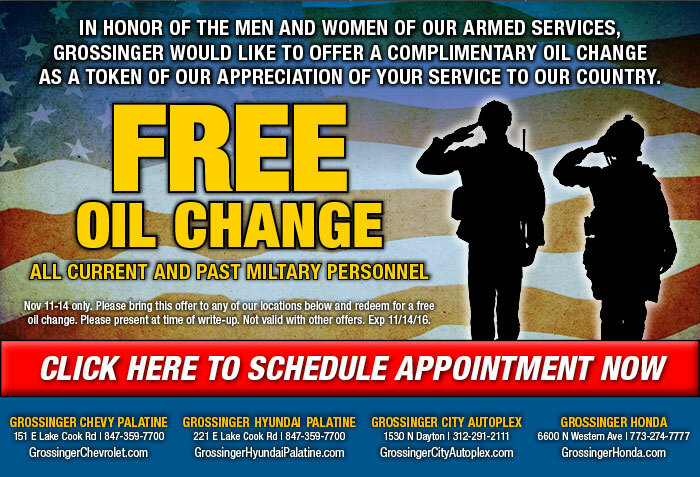 As for the free oil changes at Meineke, call them before coming over, as many are independently owned, and from my experience, do not participate. Updated for 2016: Veterans Day Deals including free food, meals and other freebies. Military discounts and savings for active duty, retirees, and veterans. Additionally, all throughout the month of November, they will show their appreciation to veterans for their service to our country by donating a portion of all profits to the American Service Animal Society (ASAS). The American Service Animal Society is a nonprofit organization who enables disabled veterans to live a more productive life through the use of service animals. 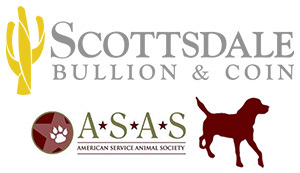 To learn more about the ASAS and/or donate, Click Here. The Museum is celebrating this Veterans Day with a number of different programs and activities for veterans and their families. The Veterans Day event and museum admission are FREE for veterans and their families this Friday, November 11. Our programs kick off at 10am. We have a wide variety of programs, and there is definitely a something for everyone, adults, teens, and small children alike. In honor of Veteran’s Day on Friday, Fertility Centers of Illinois is offering free Fertility Awareness Checkups to veterans and sharing information on a Military Treatment Program that includes free treatment for service-injured veterans as well as treatment discounts for service members. ⇒ Deals also listed on CVO Military Discounts Page. Please Veterans Strike Force as they remember and give thanks to those who served. Family and friends are invited to spend time commemorating and celebrating our veterans. The commemoration will close with a light lunch and music provided by In Full Swing, a 15 piece swing band. 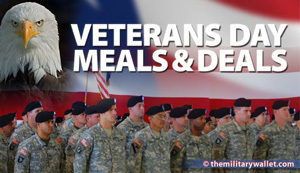 Updated for 2015: Veterans Day Deals including free food, meals and other freebies. 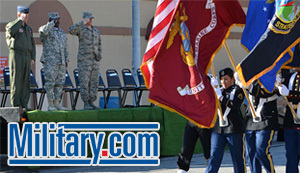 Military discounts and savings for active duty, retirees, and veterans. In addition, Turtle Wax (Chicago area) has been giving free car washes (and a lapel pin) to vets on Veterans Day, so they will probably to so again this year. Their owner is a Korean War vet. Their car washes are definitely second to none. Deals also listed on CVO Military Discounts Page. 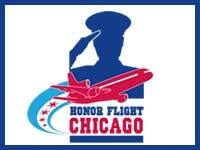 On November 11th, ABC 7’s “Windy City Live” in Chicago will honor veterans for their patriotism and service to our country! They are looking for military veterans to join the studio audience on Tuesday, November 11th for a live taping at 11am. 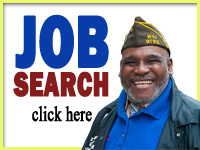 They are looking for veterans to either wear their uniform, a hat, pins, or medals. 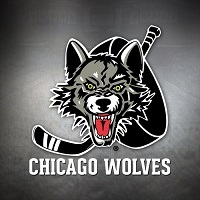 For tickets, please head to windycitylive.com and click on TICKETS! Select the November 11th date and create a 1iota profile. In the COMMENTS section please include that you are a veteran! Let them know what branch of the military you served in and any information about your service! May we take this day to remember all our comrades—those with us and those who have fallen—and dedicate ourselves to fighting for Veterans, their families and survivors!